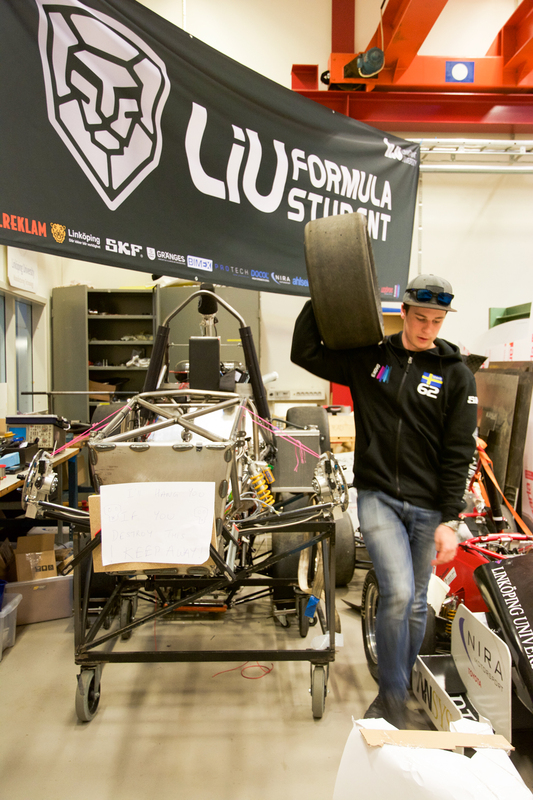 The members of LiU Formula Student needed a great deal of takeout and late evenings in order for them to manage to design and build a race car over a year. 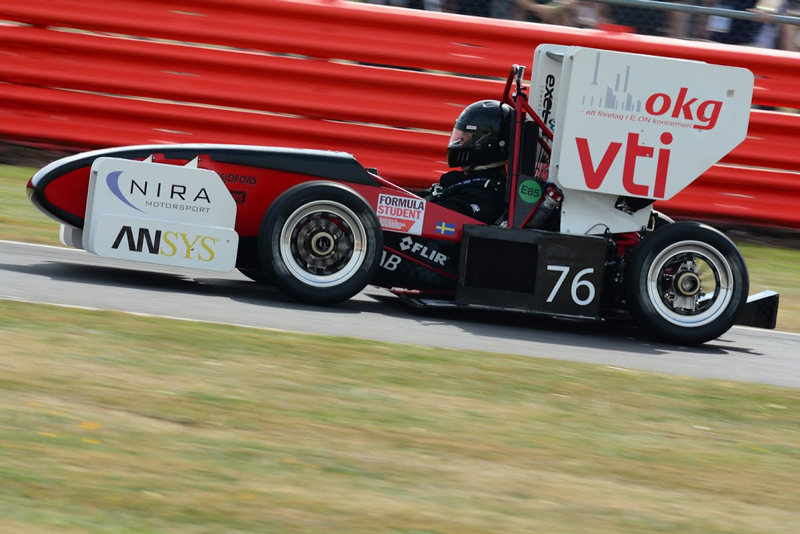 They’re competing with the car in the Formula Student competitions at places such as the prestigious Silverstone track. Felix Frey is marketing director of the board of the association, and group leader for the sponsor and PR group. He doesn’t hesitate when asked why they’re putting so much time into the association. Right now, the association has around 60 active members from different years. All the engineering programmes at LiU are represented. Getting everything together is a major project management task. Members disappear into degree projects and independent projects, so new members are continually welcomed. A large database with documentation is an important asset, so the knowledge doesn’t disappear when people quit. A large part of the work doesn’t deal at all with putting parts onto the car. People are needed to maintain the website, to find and maintain contact with sponsors, and to push development forward. The association goes out to trade fairs, exhibiting the car and talking about their programmes as representatives for the university, and get sponsorship as thanks. The association spends their time in the workshop of the Machine Construction programme in A Building. There are ingenious machines there to help with manufacturing what they need. They’ve done the majority of the production themselves and are working hard to acquire resources for the association. The university is involved, and the association has professors and doctoral students who are committed. 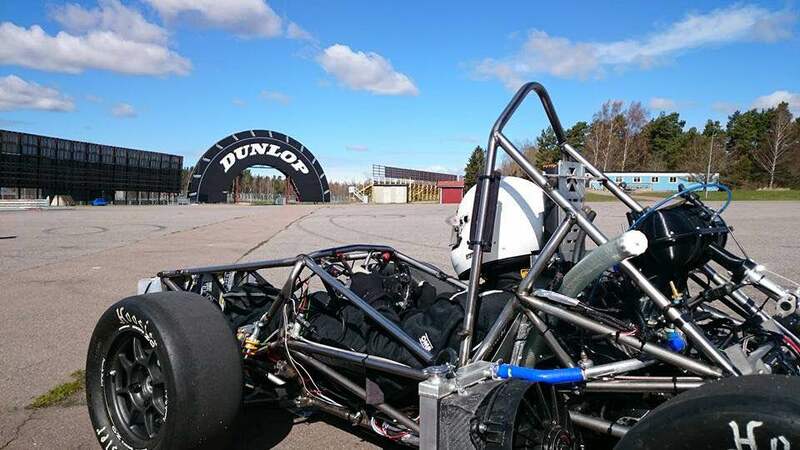 Three bachelor’s degree projects from different programmes are developing parts for the car over the spring. A ‘faculty advisor’ – a highly-placed manager in the industry – comes once a week and checks with the board. Formula Student is a sanctioned competition for students with its own event. Fifteen thousand students in 43 countries participate. The competition was started by Imech – the Institution of Mechanical Engineers – who wanted to let engineering students broaden their views, practice teamwork, and design things even during their time at school. Not only speed and powerful driving properties are assessed. One important part is being able to report on the choices made – being able to show that the team did its best based on the conditions they had, for example finances and access to materials. It’s a question of having the documentation in order and being able to answer the jury’s questions. “You need to have a lot of data all the time, that shows it’s been thought through from design to completed product. They ask about all the design details on the car. You need to be able to show why it looks like it does, your calculations in simulations, or alternatively validations of design tests. If we designed something in CAD and put many thousands of hours into it, and then we put it into the car and then don’t check, did it turn out the way we thought? We’ll also be doing a ‘business presentation’. We’ll be holding a 10-minute sales pitch for the jury. 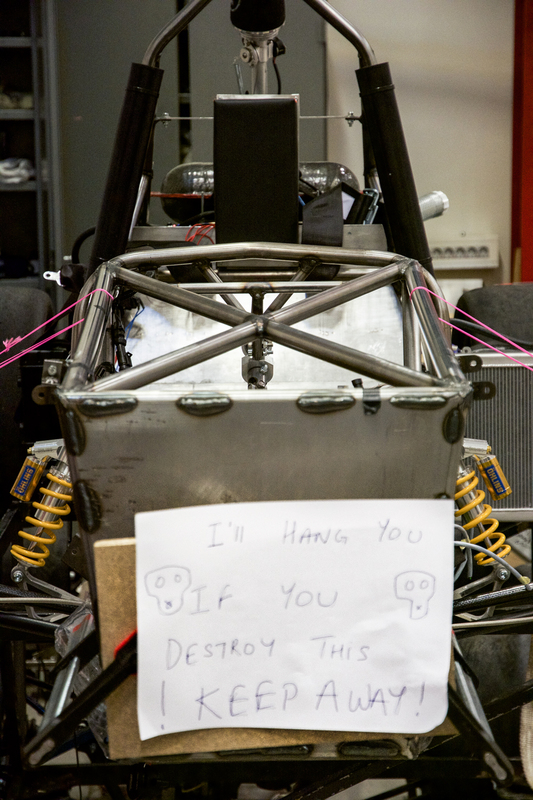 Text Annika Johansson, photo Annika Johansson (Felix Frey), Imech (the 2015 car in action).